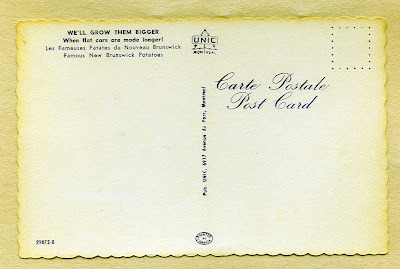 I love old postcards, the kookier and kitschier, the better. 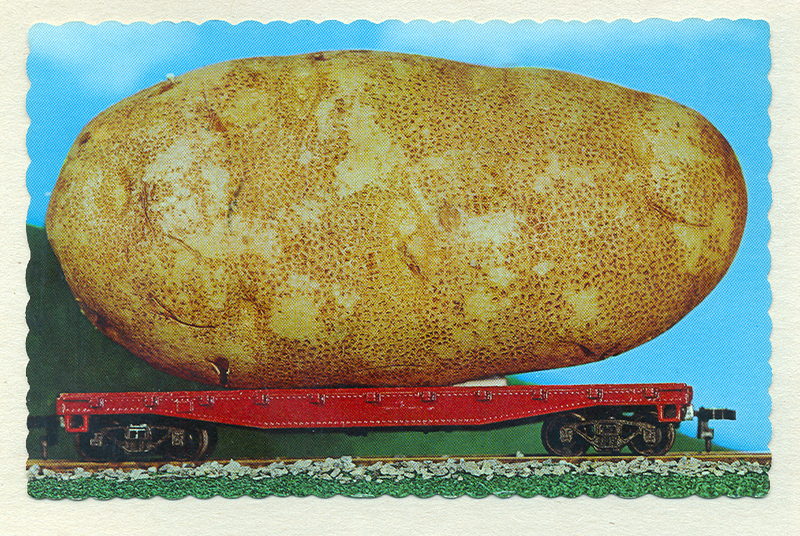 There is a whole sub-genre of postcards that can perhaps be classified as "giant gags." These are often souvenir cards from rural areas, featuring gag photos of giant produce, like this one of an enormous potato on a flatbed train car from New Brunswick, Canada. Circa the 1950s-60s. The caption reads, "We'll grow them bigger when flat cars are made longer! 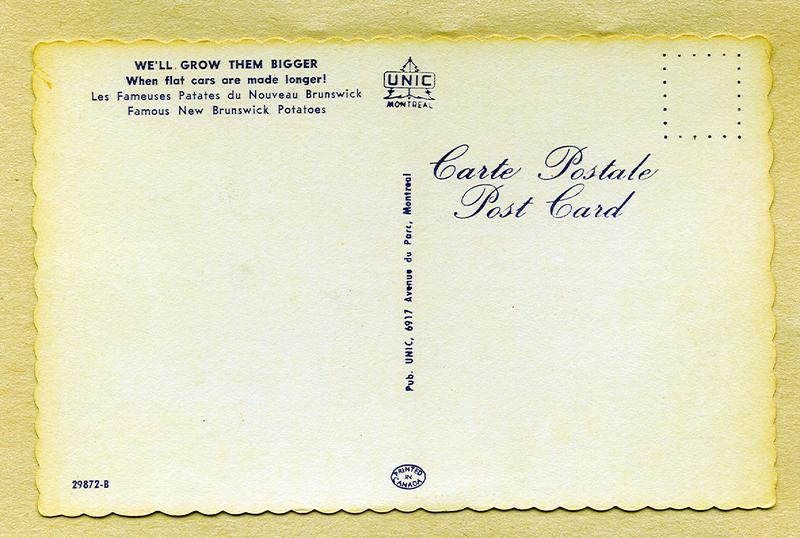 Famous New Brunswick Potatoes." Wow! We're In Magazine Articles!